Stepping into other people’s shoes has been a catalytic force for social change throughout human history. You can always tell when a good idea has come of age: people start criticising it. That’s certainly the case when it comes to empathy. 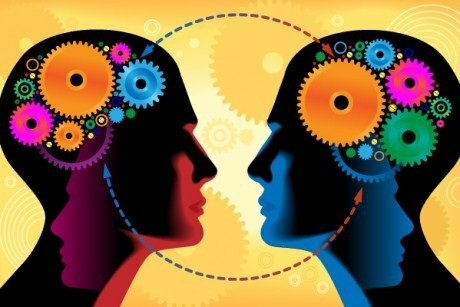 Empathy is a more popular concept today than at any time since the eighteenth century, when Adam Smith argued that the basis of morality was our imaginative capacity for “changing places in fancy with the sufferer.” Neuroscientists, happiness gurus, education policy-makers and mediation experts have all been singing its praises. This has, of course, got the critics charging in, led by Yale psychologist Paul Bloom, who claims that “empathy is biased.” In his view, empathy is a dangerous emotional force that draws us towards identifying with the suffering of particular individuals or our nearest and dearest, while we blithely ignore the plight of distant strangers or people outside our tribe, be it based on religion, ethnicity or class. It also fails to confront the structural barriers to social change. Philosopher Peter Singer takes a similar position in his latest book, The Most Good You Can Do. He cites a study in which one group of people were shown a photo of a single child, with her name and age, and were asked to donate money for a $300,000 drug treatment to save her life. Another group were shown photos (with names and ages) of eight children, and told $300,000 was required for medication that would save all their lives. The result? People gave more to the single child, which is an “absurd outcome” in Singer’s view. His conclusion is that “emotional empathy” biases us towards individual cases, whereas a more rational utilitarian approach—what he calls “effective altruism”—would prompt us to save the larger number of children. It is reason and argument, not empathy he contends, that should be our primary moral guide. This sounds logical, but I believe the anti-empathy brigade is badly mistaken, for two main reasons. First, they show an astonishing willingness to ignore different types of empathy. A standard psychology textbook reveals that there are two forms. One is ‘affective’ empathy, which is about feeling or mirroring others’ emotions—as when Bill Clinton famously told an HIV/AIDS activist that “I feel your pain.” The other is ‘cognitive’ or ‘perspective-taking’ empathy, where you focus on imagining what it’s like to be another person, with their beliefs, experiences, hopes, fears and views of the world. Bloom and Singer only give attention to affective empathy (which they describe as ‘emotional empathy’). I agree with them that a strong emotional resonance can make us unfairly favour individual cases, so of course we should save the eight lives rather than one. But while they both acknowledge the existence of cognitive empathy, they fail to explore its power to promote ethical behaviour. In doing so, what they really miss is that cognitive empathy has been a crucial force in the struggle for human rights and the task of shifting social and political structures. Let me give an example: the campaign against slavery and the slave trade in eighteenth-century Britain. In the 1780s, at a time when half a million slaves were being worked to death on British sugar plantations in the Caribbean, opponents of slavery launched an empathy-based political campaign to get members of the public to understand what it might be like to be a slave. They printed tens of thousands of copies of a poster showing how many slaves could be squeezed onto a slave ship, published oral testimonies of violence against slaves, and got former slaves to give public talks about their ordeals. In other words, they were tapping into the cognitive empathy of some sections of British society. The end of slavery illustrates a larger historical pattern: cognitive empathy cracks open the door of moral concern for neglected or marginalised groups, and rights and laws wedge that door wide open. This has happened over and over again since the eighteenth century—in the struggle for civil rights, gay rights, and the rights of women, indigenous people, and disabled people. The key is ‘perspective taking’—trying to imagine what it might be like to be ‘the other’—which makes us care about the plight of those outside our immediate community and treat them as human beings of equal value to ourselves. Political instruments such as public policy and human rights legislation typically play the role of codifying and universalising this moral concern. Simply put, taking on the perspective of others is one of the fundamental stepping stones to acknowledging their humanity and inspiring political action. As the cognitive linguist George Lakoff puts it: “Empathy is at the heart of real rationality, because it goes to the heart of our values, which are the basis of our sense of justice. Empathy is the reason we have the principles of freedom and fairness, which are necessary components of justice.” The latest research by leading neuroscientists suggests that he’s right. Cognitive empathy matters because it is part of the toolkit we need to confront the great social, political and ecological challenges of our age. Our failure to act on climate change is, to a significant degree, a failure to step into the shoes of future generations and take into account the impact that our carbon-intensive lifestyles will have on them. The growing wealth inequalities in countries like Britain and the US are fuelled by the failure of the rich and of political elites to step outside the cocoons of their privileged lifestyles and understand what it might be like to be someone lining up at a food bank or having their home threatened with repossession by a bank. And we can never have a cogent or just debate about the influx of immigrants into the European Union until we hear the voices of refugees squeezed onto death-trap boats in the Mediterranean. Ultimately, the place to start creating a more empathic civilisation is in the education system. We need to teach empathy skills to young people so that they develop the deep sense of social and ecological justice that will motivate them to be active citizens —and as a new report from Friends of the Earth reveals, there’s plenty of evidence this can be done. Filling their heads with a list of moral rules from religious texts or rationalist writings isn’t enough. Empathy, especially its cognitive form, is one of the most powerful ways we have of escaping the boundaries of our egoistic concerns, changing our values, and inspiring social action. The historical truth is that reason without empathy is potentially lethal—just think of the Nuremberg Laws that were underpinned by the apparently ‘rational’ racist ideology of the Untermensch, a term meaning ‘subhuman’ that was used to denigrate Jews and Roma. We certainly shouldn’t reject reason. But if we care about forging a world of social and political justice we have to give equal weight to expanding our empathetic imaginations. Roman Krznaric’s new book, Empathy: Why It Matters, and How to Get It, is published by Rider Books.